Doing the Purchase Order Upload is a fast and easy way to find your savings opportunities! The Purchase Order Upload takes your current primary wholesaler's PO and compares it to our list of wholesalers and finds you the lowest price possible for each item. If the existing price is the best price, we will leave those items in your primary wholesaler's cart. The process for doing a Purchase Order Upload is actually an easy one! 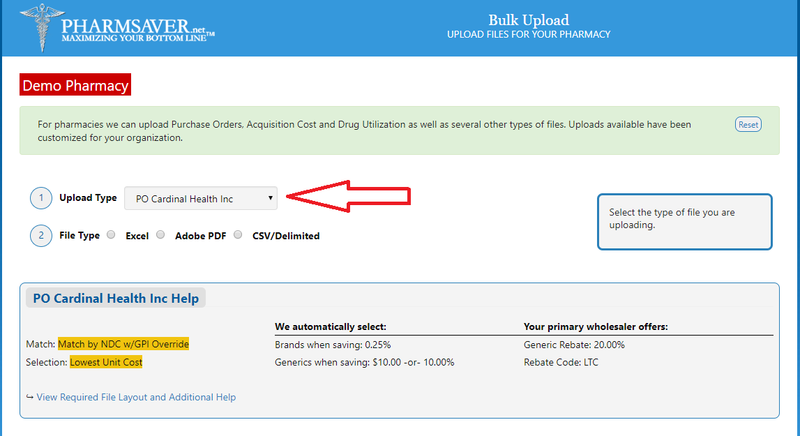 First, on your PharmSaver Home Page, click on Upload PO/Files Button on the left side menu. Select your wholesaler from the PO From section. Click on the Choose File button to select the PO file to upload, then click on the Upload Button and View Cart! When you View Cart you will see where items have been moved to other wholesaler's if we were able to find a lower cost. 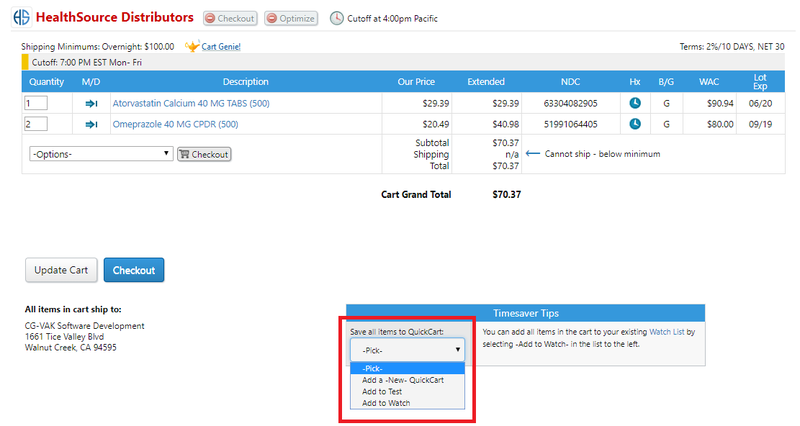 If you use the Cart Optimization feature, your cart will be in the Checkout Ready state. See the Tech Tip below for more information about SavingsParameters. It's easy to create a Quick Cart for those repeat orders!! 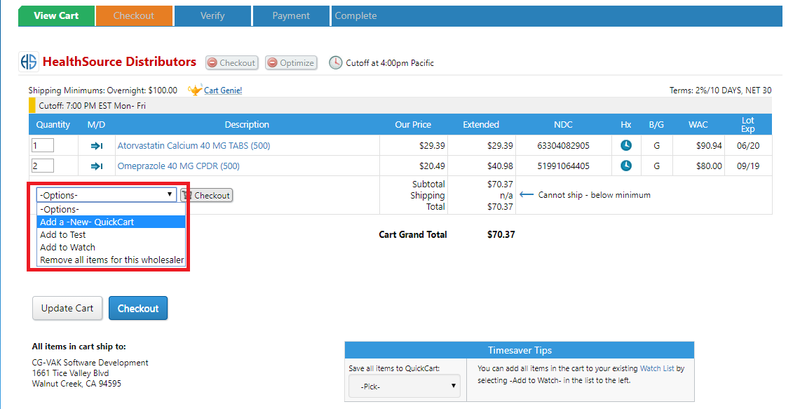 This special Quick Cart option is set up for easy and convenient re-ordering of duplicate orders over time. To move a single wholesaler cart to a new or existing Quick Cart, use the dropdown menu at the bottom of that cart section and add to or create a new cart. To move the entire cart and ALL wholesalers to a new Quick Cart, use the dropdown menu at the bottom of the page and this will select all carts to be saved to a new Quick Cart or added to an existing Quick Cart. If you make changes to Active Status, Quantity or Price use the Update button at bottom of page to save your changes when that cart is loaded on the Quick Cart page. Setting up your Parameters will provide more filtered results for savings! It is very important to note that setting up your Parameters in order to get more specific results to match your buying patterns. 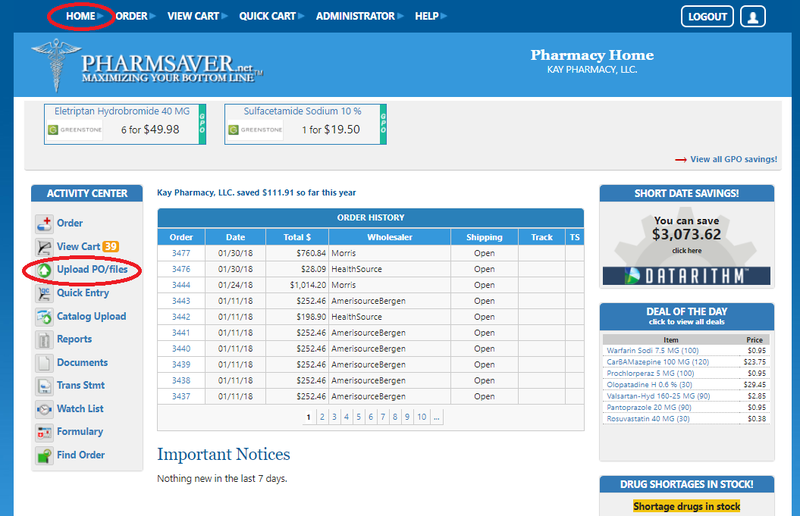 To access this information click on Administrator at the top of the home page of Pharmsaver and click on Manage Account. The most important parameters to set are your Primary Wholesaler Information section. This will allow the software to calculate your existing discounts and factor in the additional discounts you select in the Pharmacy Best Price Ordering section. 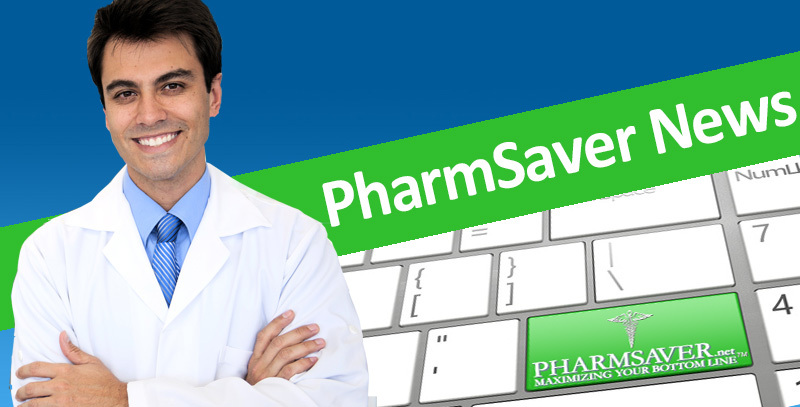 For more information on this please email johnna@pharmsaver.net and she can provide you with a demo and documentation. Entering in your Discount Code for your primary wholesaler's Generic Discount will allow the software to find the lowest cost.